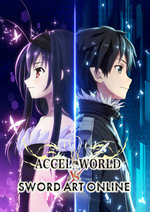 Welcome to the accelerated world Cult classic anime series Accel World comes to the West, featuring a large roster of characters from the anime and novel series. 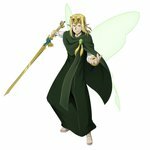 Take to the skies Featuring the fairy fl ight mechanic of Alfheim Online, players can experience the freedom of fl ight and aerial combat. 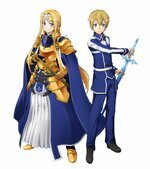 Original story from the master of technology fantasy Worlds collide as characters from two of Reki Kawahara s award winning series come together on a journey through time to save Yui in a completely original story. 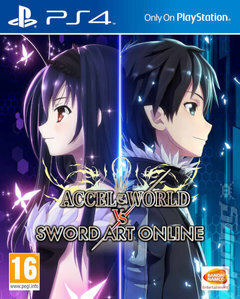 The best of both worlds Combine powers and leverage strengths as you build 3 man teams with your favorite characters from both Accel World (Acceleration/Special Techniques) and Sword Art Online (Flight/Magic)! 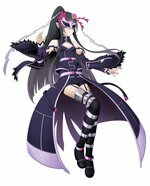 Unite for the fight Team up with your friends or challenge your rivals in fi erce online multiplayer featuring multiple modes supporting up to 4P.